It’s no longer unusual because Ariel set a new standard for redheaded heroines in the Disney universe, and beyond. 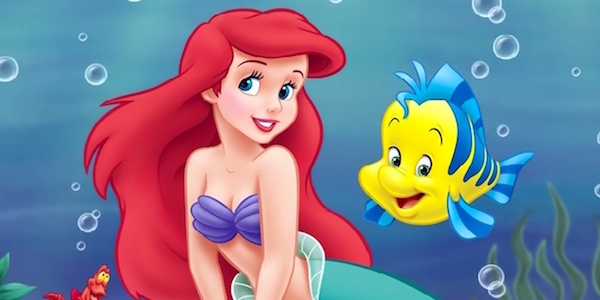 And while the red hair didn’t really break out after The Little Mermaid – which is celebrating its anniversary with a 4K rerelease of the film – the hair on Ariel is a distinct trademark, and one that helps her stand apart from all of the other Disney Princesses. Now all I want to see is how that red hair looks on the new 4K Ultra HD and Blu-ray that Disney is releasing on behalf of The Little Mermaid’s anniversary. Ariel made her triumphant return to the big screen last year in the princess scene in Ralph Breaks the Internet: Wreck-it Ralph 2. There has been talk about a potential live-action Little Mermaid adaptation, similar to the Lion King, Dumbo and Aladdin movies coming to theaters in 2019. No movement on it yet, so for now, we have to enjoy the 30-year-old animated classic, which will be available for purchase on Blu-ray and 4K Ultra HD on February 26.